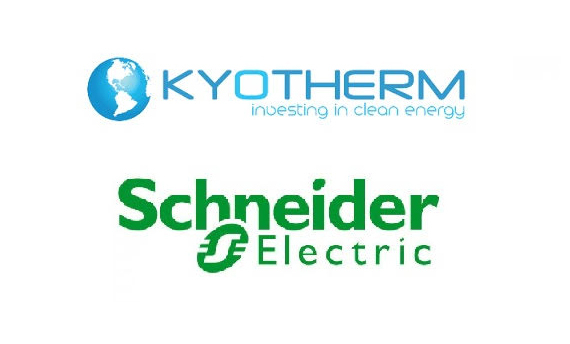 Saint-Chély-d’Apcher, May 30, 2017 – ArcelorMittal, Kyotherm, Schneider Electric and the city of Saint-Chély-d’Apcher (South of France) disclose the launch of a waste heat recovery project that will allow to save 4,000 tons of CO2 emissions per year, which is equivalent to taking 2,000 new vehicules off the roads. This heat is generated by the industrial process and would be lost otherwise. The project is due to be commissioned in the first half of 2018. The investment amounts to €5.6m, it is borne by Kyotherm and benefits from subsidies from the ADEME (French national Agency for Environment and Energy Management) and from the Occitanie Region. The project involves recovering heat at a temperature of 1,000°C lost by the ArcelorMittal steel annealing oven, and reusing it for the city district heating network and for the plant needs (process heat and space heating). Heat exchangers, pipes and automation devices will be provided by Schneider Electric to collect up to 4.8 MW of heat. This energy will then be distributed by a 1.2 km long network and will provide for the needs of the equivalent of 1,150 housing units. The existing oil-fired boilers will also be replaced by a 4 MW high-efficiency natural gas heating plant. In total, the project will allow to improve the carbon footprint of a 17 GWh yearly heat consumption, by reducing the CO2 emissions by 4,000 tons per year. The operator of the industrial site: ArcelorMittal has played an important part in the initiation of this project, which illustrates its efforts and actions towards reducing its carbon footprint all the while renforcing the competitivity of its plant, the largest local industrial employer. The specialist in energy management and automation: Schneider Electric, a longstanding partner of the site, is in charge of the engineering and construction of the installations, with a high added-value in terms of automation, for a smarter management of the supply and offtake of the network. 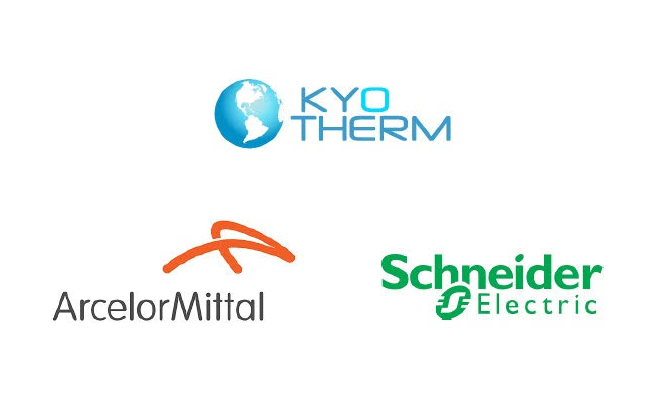 The energy-efficiency third-party investor: Kyotherm (via a dedicated subsidiary) has enabled this highly capitalistic project to see the light by supplying heat to ArcelorMittal on an off-balance-sheet basis at a competitive price. “Energy efficiency has always been one of the priorities of the ArcelorMittal site in Saint-Chély-d’Apcher, which is dedicated to the production of so-called “electrical” steels, which are used in high efficiency electric motors and generators. Waste energy (from industrial furnaces for instance) is captured from our new continuous annealing line. The entire local team promoted and drove this project. It would neither have been possible without a strong involvement of the management of ArcelorMittal and of local authorities, nor without the innovative technical and economic solution brought by Kyotherm and Schneider Electric. It will reduce the plant’s environmental footprint by cutting its energy consumption for the transformation of steel by more than 10%, and it demonstrates ArcelorMittal’s willingness to adapt to its natural environment. “The city of Saint-Chély-d’Apcher and its history are closely linked with the one of the plant, which has left its mark on the local economic and social life for a century now. The joint history of the plant and the city has taken an important step on September 20, 2013 when ArcelorMittal inaugurated its high value-added electrical steel production line, making Saint-Chély-d’Apcher the world capital for electrical steel production for power generation. Kyotherm is an equity investor specialised in the financing and management of renewable heat and energy saving projects. Its team has developed a leading expertise in financing energy efficiency projects in collaboration with energy service companies. Kyotherm owns over 40 MW of renewable heat projects, including six projects in operation and two under construction, in the sectors of geothermal energy, biomass energy, heat pumps and waste heat recovery. Kyotherm is an active partner in the management of the projects throughout their lifetime. ArcelorMittal is the world leader in steel and mining, with 199,000 employees. We operate in 60 countries and run industrial plants in 19 countries. Lead by a desire to produce safe and sustainable steel, we are the main quality steel supplier to major global steel markets, including automotive, construction, household appliances and packaging. 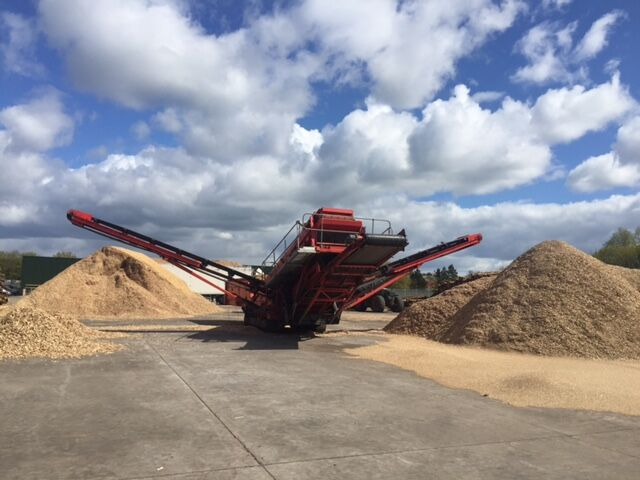 This production is supported by an excellent R&D department as well as unequalled distribution networks. In 2016, ArcelorMittal reported a $ 56.8 billion turnover, through the production of 90.8 million tons of crude steel, and the extraction of 55.2 million tons of iron ore. In France, ArcelorMittal has 16,440 employees, including nearly 800 researchers, spread over 40 production, distribution and service sites, as well as four R&D centers. ArcelorMittal has produced 9.4 million tons of liquid steel in 2016 in France. France accounts for 30% of ArcelorMittal’s flat steel production in Europe. The plant is specialized in the production of high value-added electrical steels intended in particular to be used in electric motor vehicles and high-efficiency wind generators. During its manufacture, the steel is heated to a temperature higher than 1000°C in order to give it its electromagnetic properties. It then passes through a cooling phase, thus generating waste heat. The site celebrates its 100th anniversary in 2017. Schneider Electric is the global specialist in energy management and automation, with a 2015 turnover of nearly € 27 billion. Our 160,000 employees provide customers with tailor-made solutions in over 100 countries, helping them manage their energy and processes safely, reliably, efficiently and sustainably. From the simplest switches to the most complex operating systems, our technologies, softwares and services enable them to optimize the management and automation of their activities. Our connected technologies contribute to rethinking industries, transforming cities and enriching the lives of people. At Schneider Electric, we call it Life Is On.